I found Tony Janko while scouting out homes online and contacted him about a listing. I had zero knowledge whatsoever of the home buying process and what I was responsible for as a buyer. From the first meeting, I was impressed with Tony's attitude and professionalism. He explained everything to the finest detail on what I needed to prepare for as a buyer and I knew I was in great hands. Without Tony, I know my home buying process would not have been as smooth and ennoble as it was. I will always be grateful that I worked with Tony Janko and encourage anyone else in the home buying process to contact him first! Tony gets the job done. He is highly responsive and knows the market well. He sold our house quickly, led us through some negotiation issues with ease and helped guide our new home selection. We would work with Tony again and recommend him to friends. Tony Janko, is in our opinion one of the best realtors we have ever worked with. He is professional in both appearance and business. He went to great lengths to sell our home in Danville, IN. We can never thank him enough. His communication skills are outstanding. I always received a response within minutes through email, text or telephone. Tony really knows Real Estate and his advise was always on target. He is excellent in customer service. I would recommend Tony for anyone wanting to sell their home. He is the best realtor! Tony was easy to work with and very knowledgeable . He sold my home in record time. Also got my asking price. I would use him again an tell my friends to use him also. Tony was a pleasure to work with; he was helpful, encouraging and knowledgeable throughout the process of purchasing our new home. I would highly recommend him to anyone. My wife and I recently relocated to the west side of Indy from Cincinnati. The number one thing I seek in a buyers agent is honesty. I want honest impressions of neighborhoods and potential homes. Tony was very knowledgeable about Hendricks County and very frank about the current and future issues facing the areas we looked at. He always responded, always supplied us with what we needed and he made the looking process enjoyable. When Tony started to search for our new home it went quickly and smoothly. He is very pleasant and a pleasure to work with. Tony knows the area well and was able to provide us with needed insights regarding attractive neighborhoods and areas that would please us the best. In addition, he knows a lot about local builders and their histories, the quality of the different homes materials, workmanship, and land values. The best thing about working with Tony was that he was always in our corner, making sure we got the best deal possible as first time home buyers. He was very patient when we changed our plans several times and emphasized how important it was that we ended up in the house we wanted. He knows real estate and can state the facts in a professional manner. I appreciate his honesty and punctuality. Very professional, knowledgeable , patient . We spent about 8 months looking for a house and he was totally committed and accessible the whole way . He helped us find the perfect house. I selected Tony after failing to sell my home after 9 months on the market with another realtor. Tony and I met to negotiate the terms for the contract on my home, the listing was made active, and I had an accepted offer higher than the listing price on my home within 24 hours. The closing process went smoothly with no issues at all. I was so impressed by Tony's professionalism, communication, and enthusiasm when selling my home that I selected him for my realtor when purchasing my next home. I have referred Tony to many of my friends and I will be using him when I am ready to place my current home back on the market. A great experience all around and great guy. Tony was a GREAT realtor for us! We were first time home buyers and knew nothing about what to expect out of a home, the process, or what to do. He always contacted us the same day, usually within a couple hour's time (if he missed our call)! He stepped us through piece by piece, recommended a great inspection company and mortgage company, and was completely honest about the houses we were looking at. He actually cares about the home you're trying to buy, and he wants the best for his clients. He still checks in from time to time (after the sale) to make sure everything is running smoothly. I never felt so respected, guided, and taken care of. I can't say enough great things about him! You won't be sorry you pick Tony as your realtor! Tony first helped us sell our existing home, everything but the closing was done via email. This made our process much smoother as I didn't need to take off work to keep everything moving. When it came time to shop and purchase our new place, Tony was there every step of the way. He took time to walk and discuss several homes before we settled on our new dream. We highly recommend Tony and his invaluable expertise! From the start of the process through the closing, Tony made us feel like selling our property was a priority for him. He is knowledgeable and had great recommendations. The technology he employed in the listing was amazing, but his personal attention warrants our high ratings. He always responded immediately to our inquiries and followed up with potential buyers from past showings when changes were made. We were at a loss how to proceed when we had a buyer for our rental property. I was given Tony's name by a friend of his and was told he could help us through this process. Once he came on board we were informed of every step along the way. In a very short time the deal was completed. I am very sure that should we have a need for an agent in the future he would be at the top of our list. A mutual friend recommended Tony and we are so happy she did! We found Tony to be a no-pressure agent who was very patient with us during our buying and selling process. He became a trusted advisor to us, often helping us to think things through and even pointing things out to us that we wouldn't have otherwise noticed or thought about - including repairs/concerns...which many Realtors might not do, but Tony wants to make sure his buyers are well informed and taken care of. We found him to extremely personable and easy to approach. As a buyer's agent, he was readily available to answer questions, provide research and show us properties on short notice - always prompt to return calls or reply to email messages. We also engaged Tony's services as a Seller's Agent and, again, he was forthcoming with guided expertise, providing the same level of customer service we had already come to know him by. Tony gave so much more of his time than any other of the several Realtors we've used for real estate transactions over the years. I'm happy to say that as long as Tony's in the business, he will continue to be our go-to guy for real estate needs! In him, we have found a friend. We were very lucky to get referred to Tony. We were rlocating to Indy, and he listened to what we said we wanted and each time we set times to see houses he had several to show us. In going through the process Tony listened to what both my wife and I were saying and pointed out that what we said we wanted and what we were saying at the locations didn't match. He asked if we would be willing to see some other homes that he thought would be a fit. We agreed and he found us the perfect home.Tony listens to what you say and works with that, unlike some other agents we dealt with that showed what they wanted to sell, as opposed to what you want to buy We would highly recommend Tony both for helping us find our new home and helping with the entire process. Tony took the time and really listened to what we wanted. That was not always easy for our choices changed as we saw more properties. Tony was patient and professional through the entire process. He made buying a new home pleasant with his knowledge of the areas we explored and with specific issues with various potential properties. He was honest and straight forward when answering questions. I would, with out hesitation, recommend Tony Janko to family, friends and anyone else! My experience with Tony was excellent. Tony was very personable and understanding. He had good knowledge of the community and what houses like mine where selling for. Tony sold me my house in fall of 2010 and also sold that same house early 2014. I was very impressed with the number of showings we had right off the bat, especially through the holidays. I recommended Tony to a friend and they are just has pleased as we were. Go Tony!!! Tony was professional, very knowledgeable of the market, and proved to be the right choice for my wife and I. He did not over commit on promises of what to expect with regards to timelines and price points we could expect. He was direct and did what he said he would do at all times. We liked the way he marketed our property as well. Given the chance, we would definitely select Tony again. Tony was great!! We had an IMPOSSIBLE deadline. I had to pick out, tour and decide on a house to offer in a week due to a family emergency and wanted to close on our house the next month. Tony made it happen! He kept me updated on what I needed to do, provided a level of customer service that is totally exceptional and even made this rushed process I backed myself into fun. I'm definitely going to be giving him a call again when we're ready to sell and get into a bigger house! Best agent around! 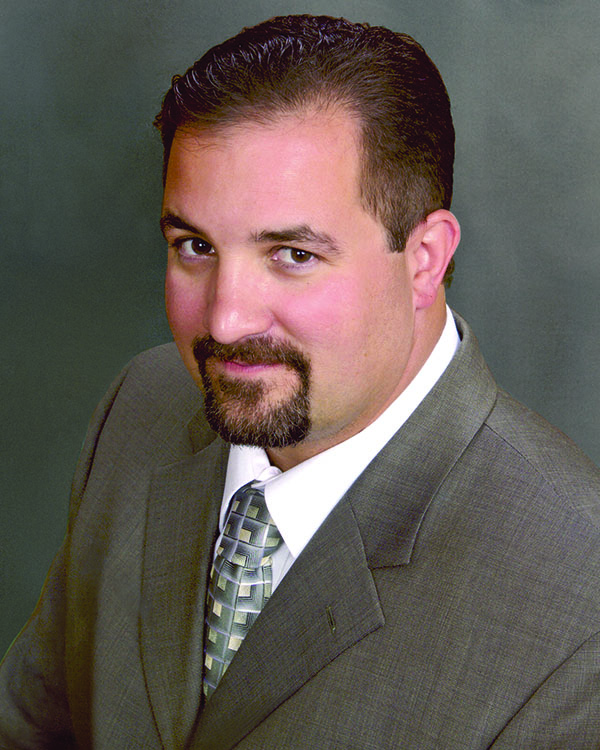 We would highly recommend Tony Janko when you are looking to purchase your next home. He is friendly, professional, efficient, honest, hard working, knowledgeable and those are only the first few descriptions that come to mind when thinking about our positive interaction with Tony. This was our third home purchase, but only our first home purchase in Indiana and with Tony. We were making the move from out of state and we were so impressed with how Tony made the entire process run so smoothly. He was right on the mark with dates, deadlines and calculations too. He had answers to our questions before we even had time to ask them. We are thrilled with our new home and if we ever decide to buy again, we will definitely work with Tony Janko. Tony was great at helping our family find the perfect home for us. He understood what we wanted and helped us find the right listings. He was great we it came to negotiating. Would highly recommend and would use again. Tony was perfect from start to finish on the sale of our house. Tony also helped with the finding of our new home. Tony was well informed of the market and was able to sell the house at the desired price in a timely fashion. I would not consider using another realtor and would recommend Tony to anyone looking to buy or sell a home! Excellent! Very responsive, informative, and personable. Matched what we wanted in purchasing a home; along with insight on locations and what to look for during home walk through. Highly recommend! Tony was an absolute pleasure to work with. His knowledge and expertise helped us get the best possible result. We would not only highly recommend him but he will definitely be our go to guy when our nest starts to empty. Tony is one of the best in the business. His experience and expertise balance perfectly with his enthusiasm. We appreciated his willingness to do whatever he could to help us sell our home. He explained everything in detail and responded quickly to any questions/concerns we had on our journey. Tony truly cares about his clients. You will not be disappointed. Tony is an awesome realtor. Highly knowledgeable, networked, and connected to the profession, but personable and passionate about customer service. He is thorough and diligent with a focus on his clients; not just a sale. Constantly pushing himself to be better and better and his clients benefit. Tony did a great job. I knew exactly what neighborhood I wanted to live in in Carmel and he had me in those houses at a showing the moment they came on the market. The one I bought, had 4 offers, but Tony did such a good job crafting my offer.... they accepted mine. Tony Janko is a phenomenal Real Estate Agent! Not only was he patient with my family through the process of buying our first home several years ago, his honesty also saved us from potentially buying poorly kept homes. Since then, he’s been in contact to check in and share tips and tricks for upkeep, etc. with our home. Now that we’re considering a new home (but not actively pursuing), Tony has kindly set us up on a search, answers our questions in a timely manner, and allows us control of the process. Tony was great helping us find a home that was right for our family and had the room inside and outside that we wanted. We would definitely use Tony again. Tony has helped us buy our current house and sell 2 homes (one in 2008 & one in 2015). He has done an outstanding job for us every time! He’ll work hard for you, and I highly recommend him! If you give him a shot you will not be disappointed! Tony has worked to sell several houses for me and I would not choose anyone else. One house had very little profit and he worked just as hard to help me sell that property as more expensive properties. He was always prompt and gave me excellent advice . Tony is a real professional. He took me through each aspect of selling and buying the homes. He paused often, asking if I understood what was being explained. He made the entire process very easy and I always knew what was being done and what was coming up. Tony is who you want for your realtor. Tony is incredible to work with! He sold both of my homes within 24 hours at full asking price and he got me great deals on the two homes I purchased. He is extremely dedicated and has excellent communication throughout the buying/selling process. I have had zero issues with his professional performance and all four of my closings have been completed without any problems. If you're looking for an exceptional real estate professional who is also a great guy then give Tony Janko a call. You will not be disappointed! Tony helped us sell our home of 17 years. His knowledge of the market helped us price our home competitively and gain is multiple offers! Tony was there for us through the entire process from having our home professionally photographed to checking in on us on move-in day to our new home. Tony never laughed at my silly questions and always provided me with well-explained answers! While we hope we are in our forever home now, we will use Tony if we ever have to sel and move again! Tony is personable, knowledgeable and a delight to work with. Very professional. Even after the sale was complete and we were moved in our new (to us) home I felt comfortable contacting him with questions, and he always responded promptly. Would not hesitate to recommend him! We were quite happy with the results we had with Tony. We got an offer on our home in three days. He actually had 2 offers for us and we were offered $5000 more than our asking price. He is very professional and very helpful. We would definitely recommend him. Thanks Tony! Tony is the ultimate professional. He does the work, not you. He has excellent communication, returns call promptly and once you are sold, keeps in touch with you all the way through closing. Tony makes the calls and coordinates things, you only need to deal with Tony. I used Tony to sell a house based upon a friends recommendation. If anyone has an EASY button it's Tony. He will go above and beyond to represent you and ensure you are getting your best deal, whether you are a seller or a buyer.